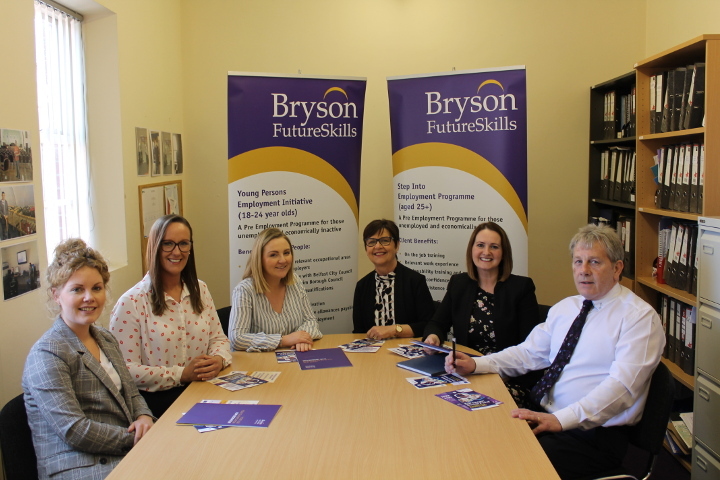 Bryson FutureSkills is delighted to announce that they have been awarded funding for the next four years to provide employability support to 800 people from the Greater Belfast and Newtownabbey areas. It is a 10 week employability programme for people not in employment, education or training. It is individually tailored to each participant's needs, to help them overcome barriers that will enable them to progress to sustainable employment, further education or training. Both Projects will partner with Business in the Community ,who will bring a wealth of experience for sourcing quality work experience and employment opportunities. Richard Henderson, Bryson FutureSkills explains, The Projects are designed to help people gain on the job training, relevant work experience leading to employment. We have built up relationships with a range of employers from the public, private, community and voluntary sector that can offer individuals the opportunity to move back into work. The opportunities range from catering, administration, care in the community, recycling to ICT, gardening and tourism. The participants will also gain an OCN Level 1 in Employability and have access to mentoring including support with writing a CV or application forms to interview techniques and work place behaviours. The programme is part funded by the European Union and the Department for the Economy.